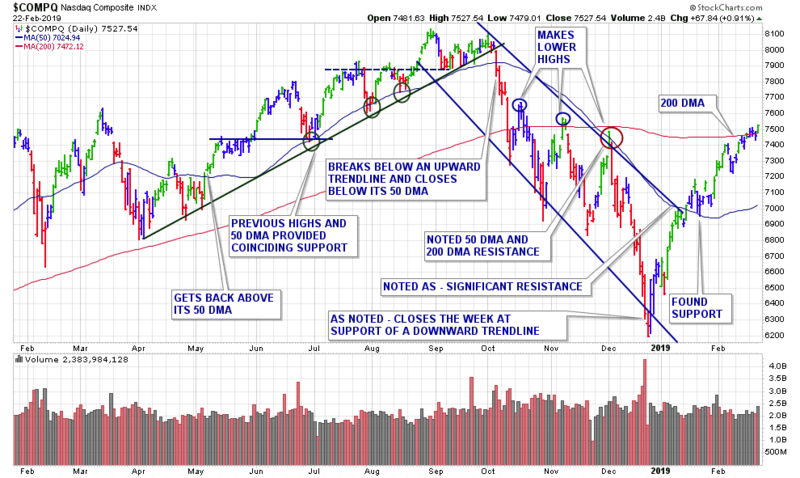 The 2019 uptrend continues with all the major averages closing the week at their highest levels since early November. It was the ninth straight weekly gain for the Dow and the Nasdaq, marking the first time since 1964 that the indexes rose in the first 8 weeks of a calendar year. The Dow Jones added another +0.57% this past week and is on its longest weekly win streak in more than 2 decades. The index technically remains in a steady uptrend – breaking above resistance levels – while posting only 1 red price bar early in its ascent. The Nasdaq gained +0.74% on the week. As noted last week – “The tech-laden index still has yet to definitively break above its 200-day moving average.” This past week the Nasdaq made gains above there early in the week and then closed further above (+0.7%) on Friday, at a new multi-month high. The S&P 500 index advanced +0.62% this past week and closed at 2792.67. The fuel behind this current rally-run can be attributed to the softening from the Federal Reserve, who effectively put its interest-rate policy on hold. This week, investors had continuing hopes for a trade deal between the U.S. and China which bolstered market optimism. 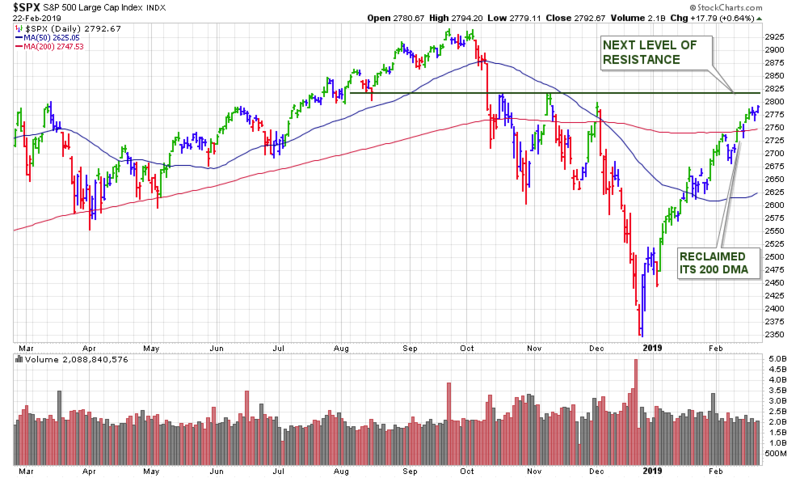 The market remains in a confirmed uptrend with only 1 distribution day on the Nasdaq and just 2 on the S&P 500. Regardless of market conditions, I am always preparing a watch list of high-ranked leaders which are building bullish technical bases. This week, I ran my routine stock screens and added 3 new stocks to our weekly watch list. This past week we had another 2 breakouts from our weekly watch list. Shares broke out on Thursday after the company announced earnings on Tuesday with results that beat Wall Street expectations. There were some very decent follow-through gains on Friday and a close at the session highs and a new multi-year high. Volume, however, was -31% below the average on the day. The company is highly ranked, except for the EPS rank which is lagging along with the company’s fundamentals. This is more of a technical play, and going forward – we would be on the lookout for a pullback considering the lack of conviction on the breakout. 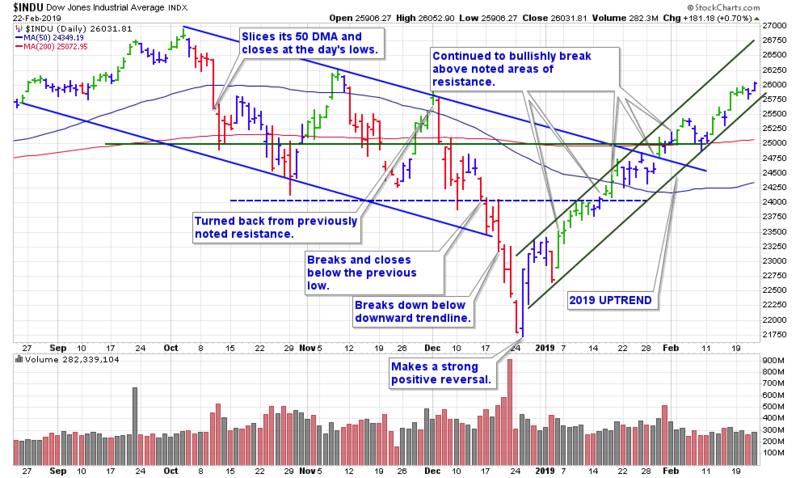 Keep in mind – Lower volume breakouts have been working in the latest rally. I’m going to put our 1st SUPPORT in those previous highs, our 2nd SUPPORT is the 50-day moving average. Ideally, we would like to see more volume behind any possible gains. This leader was setting up technically, much like our FE was, as shares kept trading up to the previous highs, then they would pull back, yet still wedge higher. 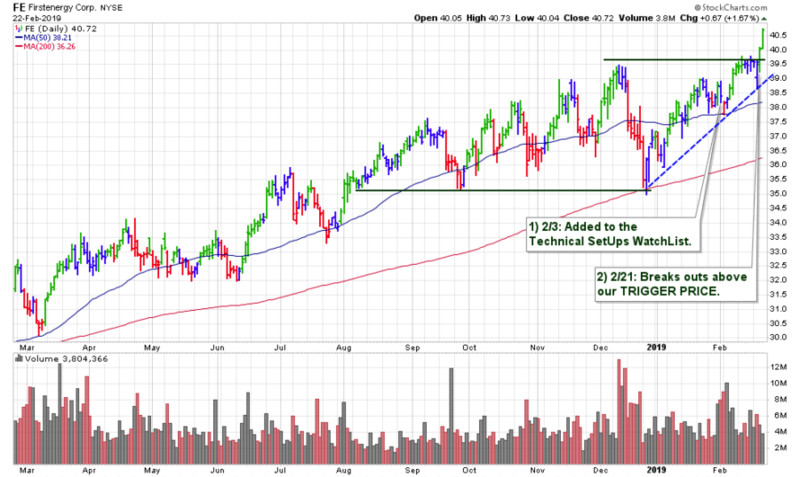 The stock broke out on Wednesday with a +19% increase in volume. There were some continued gains on Thursday with a positive reversal as the shares opened with a gap lower, then closed the session +0.47% higher. 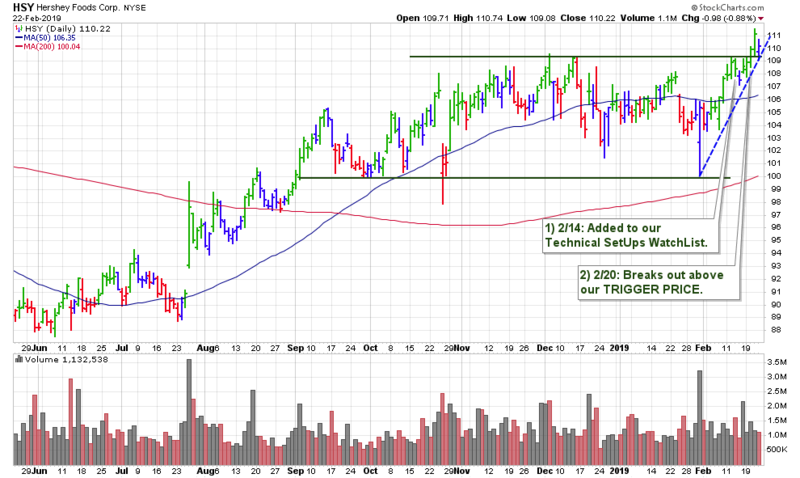 The stock did also gap down Friday morning and was not able to manage another positive close. This puts shares right at our 1st Support of the previous highs, with further support at the 50-day moving average, currently $106.35. The company does have solid ranks and decent fundamentals. However, any continued declines, especially with an increase in volume, would be a serious concern.